No overview of the city’s opera scene could be complete without a discussion of its most glaringly obvious gap: a proper venue for opera. This is both a historically fraught issue — ask any local opera lover with a long memory about Sarah Caldwell, or the beautiful Opera House on Huntington Avenue that the city tore down in 1958 — as well as the Achilles heel of today’s local performing arts scene. The city boasts symphonic music, early music, chamber music, and new music of international caliber. But astonishingly, given its cultural accomplishments, Boston has no purpose-built home for opera, with an adequately sized pit and acoustics friendly to the natural human voice. Of the 10 largest cities in the country, it is the only one without a dedicated home for this art form. Other much smaller cities enjoy such venues, from Sarasota, Fla., to Kansas City, Mo. And if you speak with arts professionals with a national viewpoint, their perspective can be withering. “Of all the places I work in North America, Boston has the absolute worst facilities,” said Dory Vanderhoof, a senior partner at a Toronto-based cultural management firm that consults for performing arts groups across the country. Smaller Baroque-sized theaters are not an issue for Boston, and of course there are places for intimate chamber-scaled productions as well as opera vibrantly staged in unconventional settings. But a periphery, no matter how thriving, needs its center. And the city’s largest company, Boston Lyric Opera, mounts its productions in a venue that is acoustically poor, uncomfortable for many visitors, and most problematically of all, has a pit too small for staged performances of some of the greatest works by Wagner, Strauss, Prokofiev, Verdi, and many others. What’s more, international productions designed for larger modern houses cannot be brought here. (Ironically, the venue known today as the Boston Opera House has no opera in it.) Far beyond BLO’s needs, the city’s many smaller opera initiatives could also benefit hugely from a purpose-built space. So the question arises yet again: Could this situation actually be changed? The prospects for a new opera house in Boston have been the subject of whispers around the edges of the community for years, while gaining little traction. More recently the economy placed any discussion of a new venue out of bounds for several years. So did an unhelpful rhetoric of rivalry between what used to be the city’s two main companies: BLO and the now-defunct Opera Boston. Insiders trying to push the conversation forward also complained of getting nowhere with City Hall when the topic was broached. And yet, don’t look now, but the stars may be aligning. At the very least, suddenly — crucially — a new administration at City Hall has vocally declared its support for the idea. The mayor’s openness to the idea will no doubt come as a hopeful sign to the city’s opera fans and to BLO itself, which, in response to steady questions from its own patrons, has been taking the lead in exploring this issue behind the scenes. It has formed an ad-hoc facilities “think tank” and commissioned a group called Charcoalblue to design a provisional prototype space, a next-generation modular venue, fully reconfigurable and able to be built in stages that would allow it to become active before it’s complete. Meanwhile, prominent voices in the business and cultural community have begun speaking out on the issue. Can a coalition of interested parties and the new administration in City Hall coalesce to gather real momentum on this issue? To be sure, doing so would mean squarely confronting the no doubt self-fulfilling myth of Boston as “not an opera town.” It is true there cannot be opera of consistent international caliber without a real home for it. 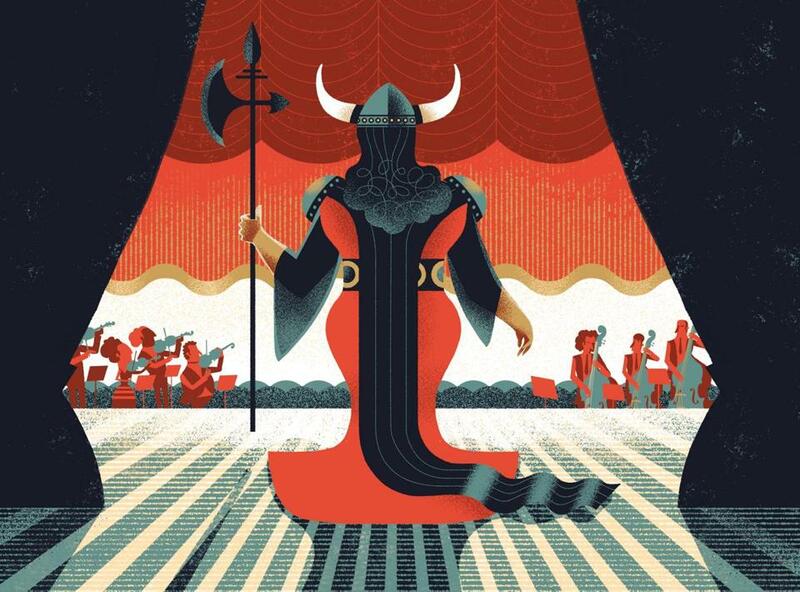 But for now, to begin chipping away at ancient biases, perhaps Bostonians need only begin by looking out their own windows and surveying the diversity and increasingly restless energy of an opera scene devoted to taking a centuries-old art form and making it new.